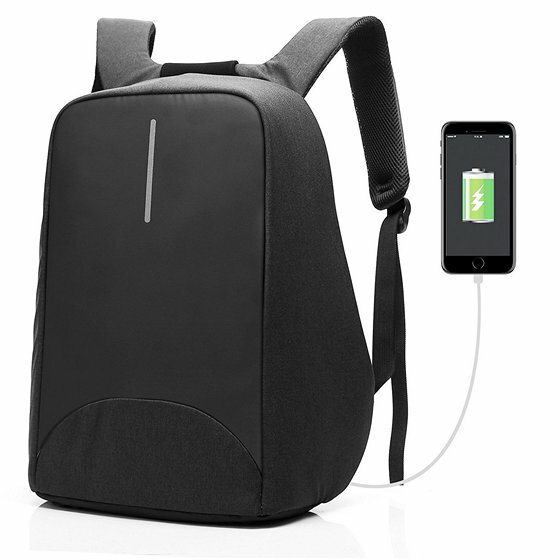 This backpack features a sleek and minimalistic design that’s well-suited for travel, school, work etc. The zippers are smartly hidden, in a move to avoid thefts, thereby letting you safeguard your expensive stuff that’s packed inside. It has a soft bubble foam padded layer for absorbing shocks and impacts resulting due to accidental drops. The bag is water-repellent as well, so you don’t have to worry about carrying it during the rainy season. It’s currently available in medium and large sizes that can be purchased for $39.99 and $42.99 respectively. 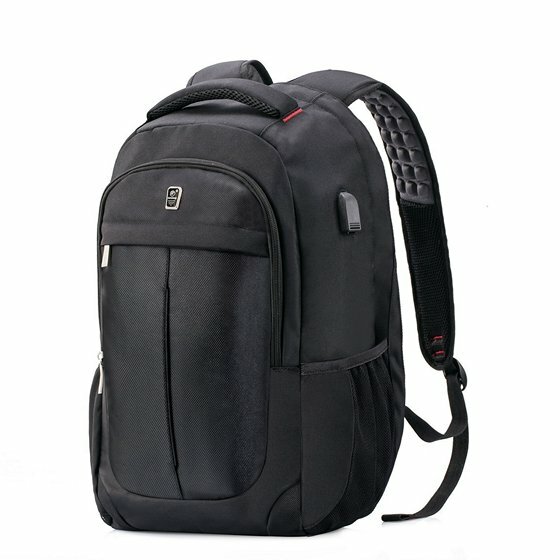 As far as Anti-Theft features are concerned, the zipper of the main pocket is fully hidden in the back of this bag, therefore no one will be able to easily open up your backpack and steal stuff. It’s equipped with a secret pocket which is located behind the bag. The water-repellent fabric makes this bag good enough to carry around during the rains. 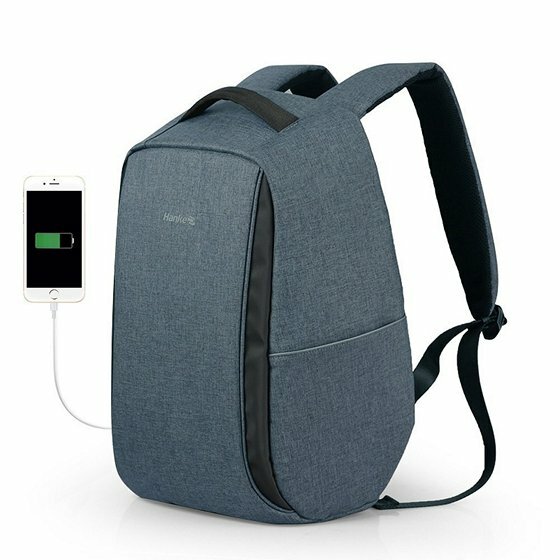 That being said, the standout feature of this backpack is the inclusion of a USB port that let’s you charge your electronic device anywhere, anytime. However, you need to purchase a power bank additionally to make use of this feature. 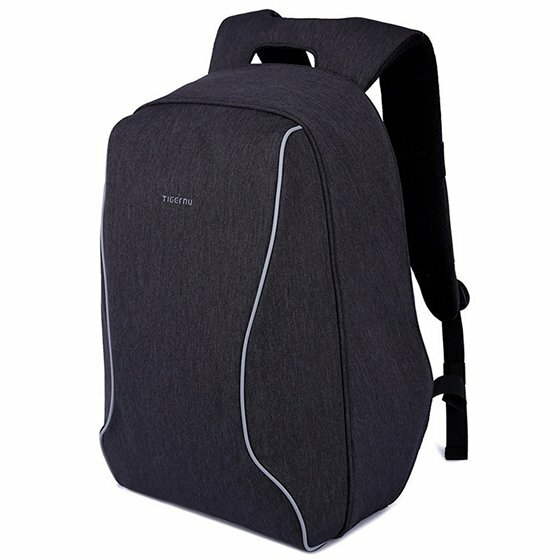 If you’re interested in getting a compact bag that can offer anti-theft features, the Travelon Signature Slim Backpack is worth considering, as the shoulder straps on this bag can be detached and used to lock the zippers, thereby preventing people from opening the compartment with ease. 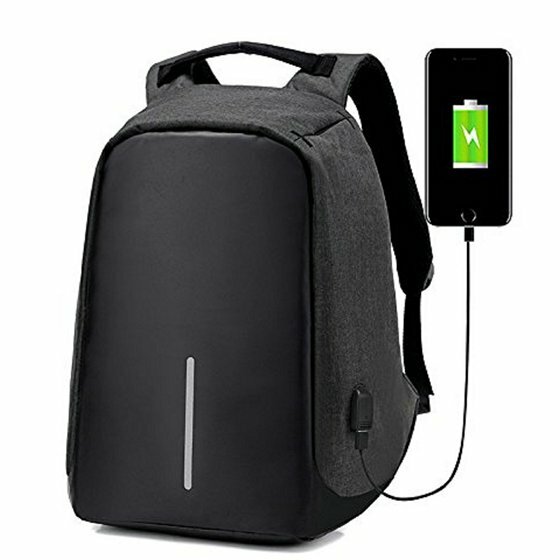 The main compartment of this backpack has RFID blocking card and passport slots, zippered wall pocket and tethered key clip with LED light. Additionally, the backpack sports a slash-resistant construction, so trying to open up your bag by tearing it apart is going to be a hard task for thieves. 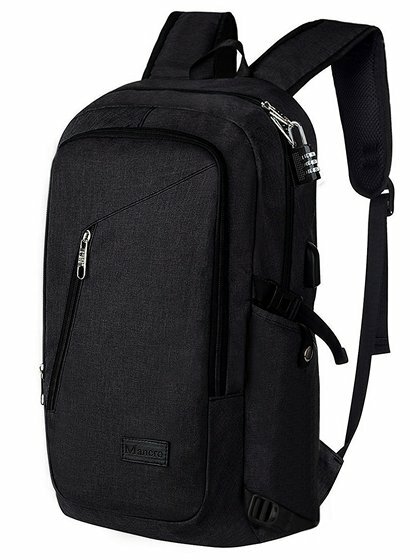 This multi-purpose backpack manages to bring anti-theft features by smartly hiding the zipper behind the backpack. It’s pretty hard for anyone to find where the openings are, so you shouldn’t have to be concerned about thieves trying to easily steal stuff from your bag. If you have a power bank, you can take advantage of the integrated USB port for charging your electronic devices, no matter where you are. It has a water-repellent fabric to resist rains, so there are no worries in this regard. The bag even has an illuminating safety strip that’s pretty useful for visibility during night. This backpack is made of high-quality polyester material that’s water-repellent, tear-resistant and scratch resistant, so we’ve got no doubts regarding its durability. In terms of anti-theft features, the zippers are well-hidden and there are secret pockets located on the back keep your laptop and other valuables safe and secure. It has an external USB interface that you can use to charge your electronic gadgets with the help of an additional power bank that can be purchased separately. As per the manufacturer’s claims, this bag’s weight balance is good enough to make you feel as if the weight is 20-25% lesser. 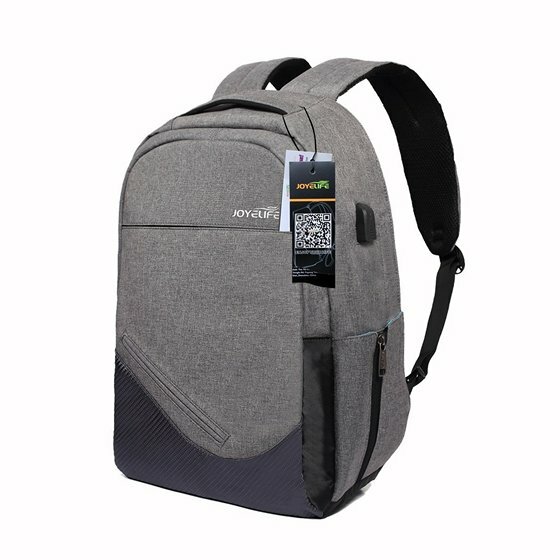 This anti-theft backpack features a design that manages to hide all the zippers, thereby making it really hard for a stranger to open it up and steal your stuff. The bag has a PVC coating that makes it waterproof, so this one’s a great choice for taking out during rainy weather. The reflective tapes located at both the front and back sides, will reflect the light in the dark. In addition to all this, there’s also a built-in USB port that can be used to charge all your phones and other devices with the help of a power bank. Well, this is currently one of the best theft proof bags you can currently buy as it comes with a combination lock and durable metal zippers, so you don’t have to worry about people stealing valuable stuff from your backpack. Secret compartments are also available inside the bag to store some expensive items. It has an integrated USB port with charging cable that can be used to charge your phones and electronic devices by making use of an additional power bank. The backpack is made from durable nylon fabric with two “S” curve padded shoulder straps for ergonomics. Next on the list, we’ve a laptop backpack with anti-theft features that’s capable of fitting laptops up to 15.6-inches in size. There’s a dedicated theft proof compartment to store your valuable laptop and the zippers on this bag are extremely durable, so if you make use of a combination lock, thieves will find it extremely hard to break it open. The Nylon fabric used for this backpack is water-repellent, durable and very easy to clean, so we’ve got no gripe in this department. 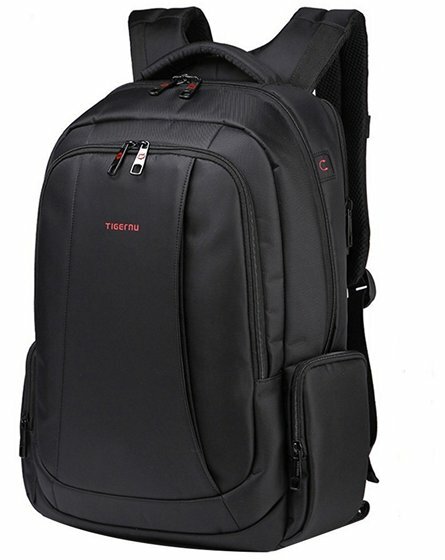 It has a dedicated back padding and shoulder padding for added comfort while carrying. The main zipper of this backpack is well-hidden inside the bag, so it’s very hard for the strangers to see, thereby securing your bag from potential theft. There are no zippers outside the bag, so it’s pretty hard to access, which is a good thing for securing all your valuable stuff. There’s a built-in USB charging port that comes with a cable so that you can use your power bank to charge your smartphones and other gadgets, regardless of where you are. The bag also has an integrated plastic sheet. Three plastic sheets are added around the middle layer of the bag, which makes it cut-resistant for additional safety. 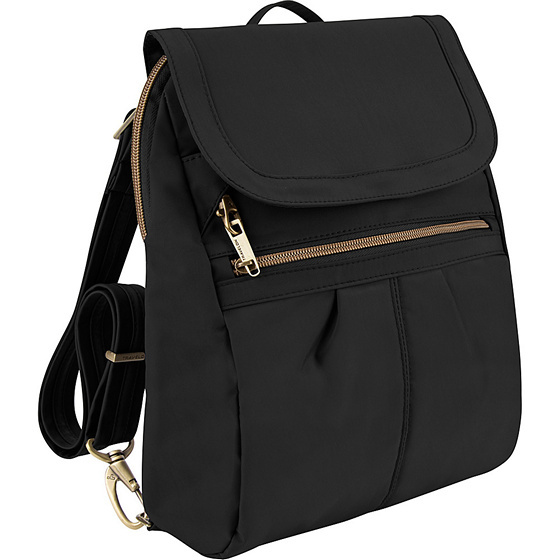 Last on the list, we have this anti-theft backpack manufactured by Joyelife. 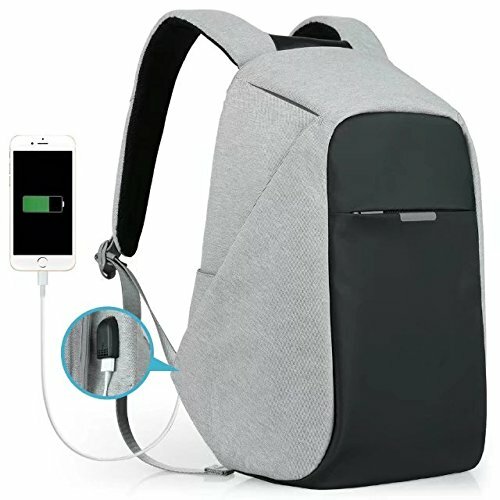 In terms of Anti-theft features, this backpack manages to hide its zipper against your back, thereby safeguarding all your valuable stuff and preventing potential theft. Additionally, there are multiple hidden compartments on the inside, that can be used to store your wallet and expensive gadgets. There’s also an integrated USB port that you can take advantage of, with the help of a power bank that can be purchased separately. Lastly, the bag has padded mesh and strap that makes it quite comfortable while carrying around. Well, if you’re concerned about someone trying to steal your valuable stuff from your bag, we highly recommend you to invest in a durable backpack with anti-theft features. Well, we’re glad that we could list out some great Anti-theft backpacks that are currently out there on the market. These bags have a unique way to hide or lock the zippers and pack many secret compartments that’s pretty hard for strangers to even notice. So, now that you know some of the best backpacks with anti-theft features, which one are you planning to go for? Do let us know by simply dropping a few words in the comments section down below.